Dr. Darryl Aguilar has been a part of Mid Louisiana Surgical Specialists since the onset of the medical practice’s opening date in 2003. He is a graduate of Louisiana State University School of Medicine and completed his surgical training at the University of Tennessee in Memphis. 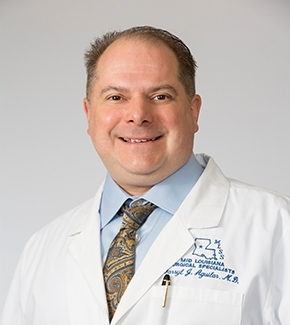 As a surgical specialist, Dr. Aguilar has a keen knowledge of diagnosing and treating the full spectrum of diseases and conditions that may require surgical treatment. Some of those surgeries also include breast disease, masses, and treatment of breast cancer, as well as, hernia repairs. Dr. Aguilar is board certified by the American Board of Surgery, and a fellow of the American College of Surgeons. In his spare time, Dr. Aguilar enjoys camping and spending time in the great outdoors. He cheers on the New Orleans Saints and loves to watch different games and events that happen within the Superdome, which is one of his favorite places to be. In addition to general surgery procedures, Dr. Aguilar specializes in minimally invasive breast biopsies. 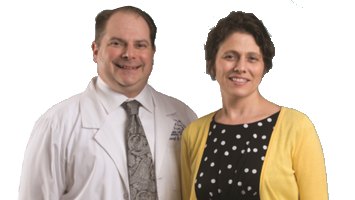 This procedure helps patients have a less invasive biopsy with the best possible results done through expert hands. He also specailizes in Hernia Repairs. 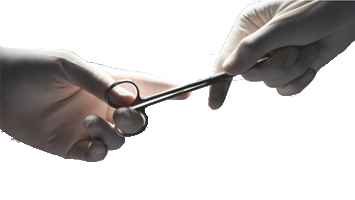 American College of Surgeons, the organization providing quality care for both preventative, during and aftercare of the patient, while also providing ongoing education support services for surgeons and their staff.